Saturday saw Greater Shepparton’s newest music event come to life at Victoria Park Lake. 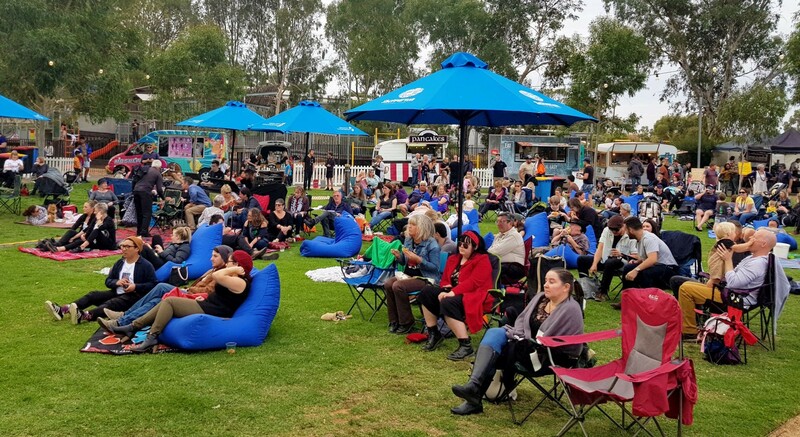 The outdoor live music event, Goulburn Vibes brought the community together for an intimate setting and saw more than 500 attendees celebrating local music, food and nature. Greater Shepparton City Council Mayor Councillor Kim O’Keeffe said the day was about celebrating everything local. “We had really talented local performers, great local vendors and a beautiful environment by the lake and the river, Goulburn Vibes was really about celebrating the best of Greater Shepparton,” Cr O’Keeffe said. The afternoon kicked off at 3pm and saw local favourite Jessica Lorraine take to the stage first, followed by Charlie McCosh, Tenielle McKenzie and band, and Tim Smith. Picnic rugs, deck chairs and bean bags filled up Western Park quickly with local families and visitors enjoying the festival vibes. Attendees were able to enjoy a relaxing afternoon and treat themselves to local vendors Park Brew Coffee Co, La Porchetta Shepparton, Top Notch Poffertjes, Snappa’s Mobile Grill and Catering, Mr Sheppy and Bubbles and Wort. Council’s Manager Economic Development Anthony Nicolaci said Council was committed to events supporting local artists, food and culture for the region. “The community has expressed their desire to see more music and cultural events in the region and Goulburn Vibes was just the start of more cultural events by Council,” Mr Nicolaci said. If you attended Goulburn Vibes, Council would like to hear from you, click on the link to our survey.